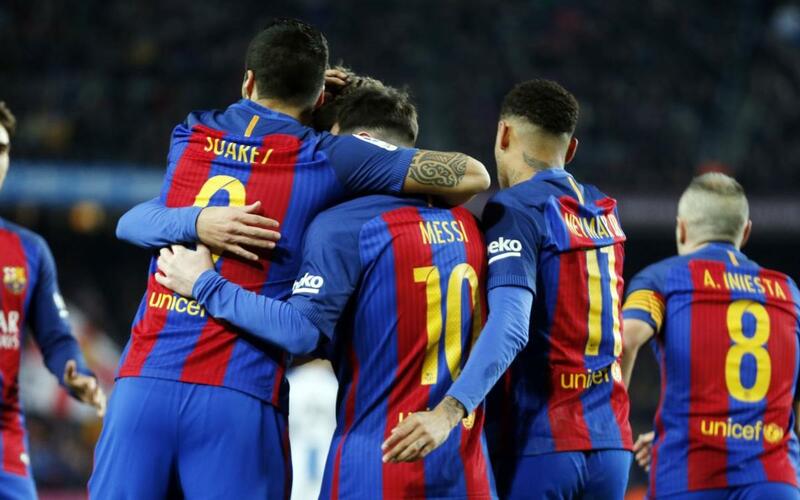 The 116 goals scored by FC Barcelona in the league season 2016/17 has set a new record at the Club. Thanks to the four goals in the win over Eibar on the final weekend of the campaign, Luis Enrique’s team moved ahead of the total 115 scored by Tito Vilanova’s side in 2012/13 season and the 114 from Pep Guardiola’s final season in charge in 2011/12. This season Leo Messi has been in sparkling goalscoring form once again. The Argentine ends the campaign as top scorer not only in La Liga but also in Europe, claiming both the Pichichi and Golden Shoe awards respectively with a total of 37 goals. Not far behind comes Luis Suárez on 29 goals, Neymar on 13, Rakitic on eight and Rafinha and Paco Alcácer on six. Luis Enrique’s men have been consistent goalscorers during the current campaign with the blaugranes only failing to score against Málaga home and away (0-0 at Camp Nou and 2-0 at La Rosaleda). In 24 of the 38 games of the league season Barça scored three or more goals (63% of games). Of those 24, in eight they managed to score more than five goals or more with the 7-1 win over Osasuna in week 34 the biggest win of the season. The blaugranes scored most goals against Sporting Gijón, winning 6-1 at Camp Nou and 5-0 away in El Molinón. The statistics also show, with regards to goals scored, there is little difference between Barça’s record at Camp Nou and on the road. Of those 116 goals, 64 were scored at Camp Nou and 52 away from home. The blaugranes biggest win away from home this season came courtesy of the 6-0 win against Alavés in Mendizorrotza. Barça have been slightly more dangerous in attack after half time. In the opening 45 minutes of matches Luis Enrique’s team scored 44 goals with 72 in the second half. Most goals were scored between minutes 61 and 75 with 27 coming in that time.